At LynnVale Studios we offer our clients a unique experience rooted in authenticity, sustainability and seasonality. Imagine strolling through acres of spectacular blooms to select those special touches that capture the romance of your event. Each season we celebrate the beauty and fragrance of freshly harvested flowers, expertly, sustainably and locally grown at LynnVale Farm. Nestled in the middle of a picturesque eighth generation family-owned property, Andrea and our talented team draws inspiration from a lush, ever-changing landscape. We welcome the opportunity to design thoughtful custom solutions for any event and specialize in creating the perfect complement to your farm-to-table experience. For each event we harvest premium blooms from our own gardens and, if desired, from our network of select local, regional, national and international growers. Andrea & Lou Gagnon started their flower farm and art studio in 2002 by growing & selling primarily at local markets. With a professional design education as an architect Andrea expanded her artistry into wedding florals and as the demand for her flowers grew, she began serving a curated list of the country’s top designers. A leader in the American Grown Flowers movement, Andrea has also served as Mid-Atlantic Regional Director and Treasurer of the Association of Specialty Cut Flower Growers. 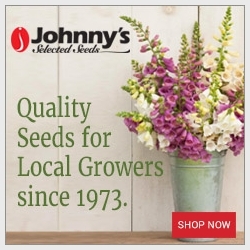 LynnVale Studios is northern Virginia's first and largest Certified American Grown Flowers farm. Our flowers are available to the public at: Cleveland Park Farmers Market, Palisades Park Farmers Market & Dupont Circle Farmers Market - all in DC. Excited to highlight our recent feature with Slow Flowers founder, Debra Prinzing, in National Geographic - November 2017 issue. SAVE the DATE: 2018, the Farmer Florist: Master's Workshop - August 15 & 16 ~ details coming soon!